Everything you need to feed your Instagram this year. camera (Disney ) Purple Wilderness Lodge Roaring Fork Purple Blackberry Mousse Brownie. Goodbye pink, hello purple. Potion Purple, that is. 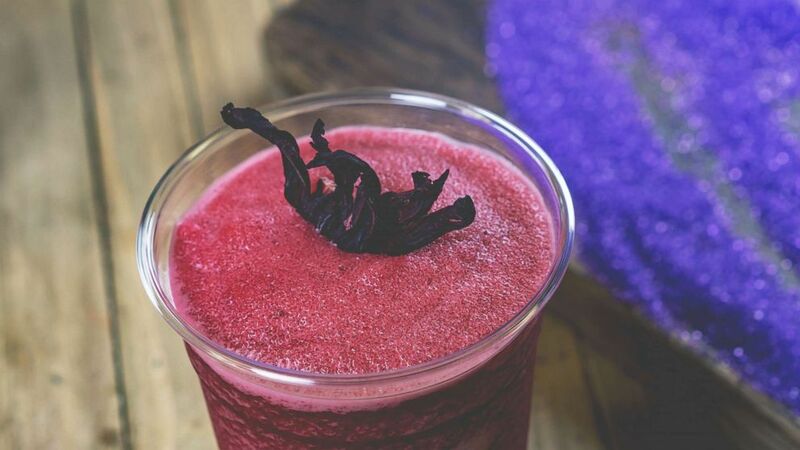 With the flurry of excitement surrounding the arrival of the must-have Potion Purple headband at Disney World and Disneyland last month, a brand-new new array of purple foods have now followed. Let's break this down by park. The ones at Disney World are currently available unless otherwise noted. The ones at Disneyland are available Jan. 11, 2019. A few great options for your 2019 vacation. It will be onboard the Carnival Mardi Gras. 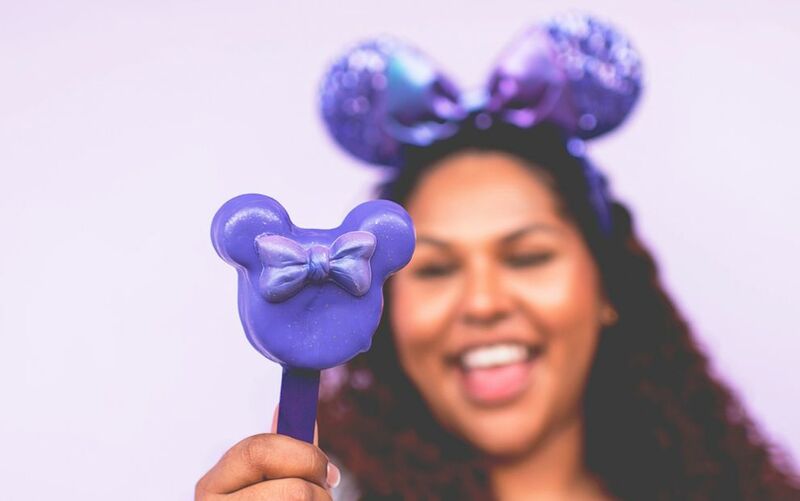 Purple Minnie Cake on a Stick is available at the Castle Hub Cart in Magic Kingdom Park starting Jan. 11. 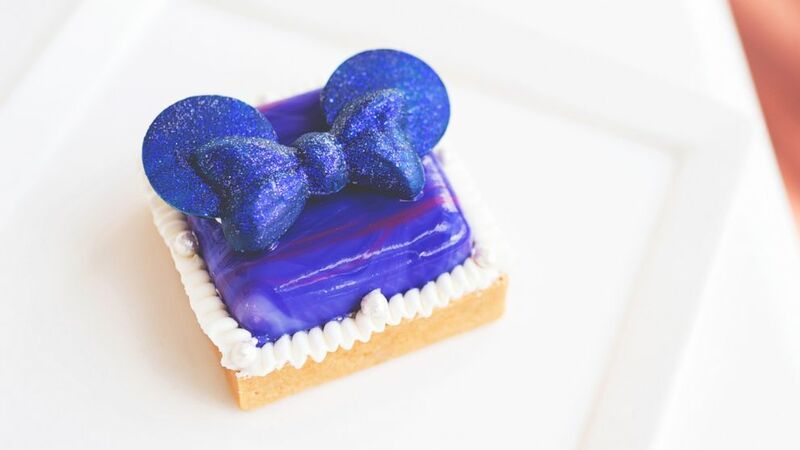 (Disney) Tomorrowland Purple Minnie Cake. 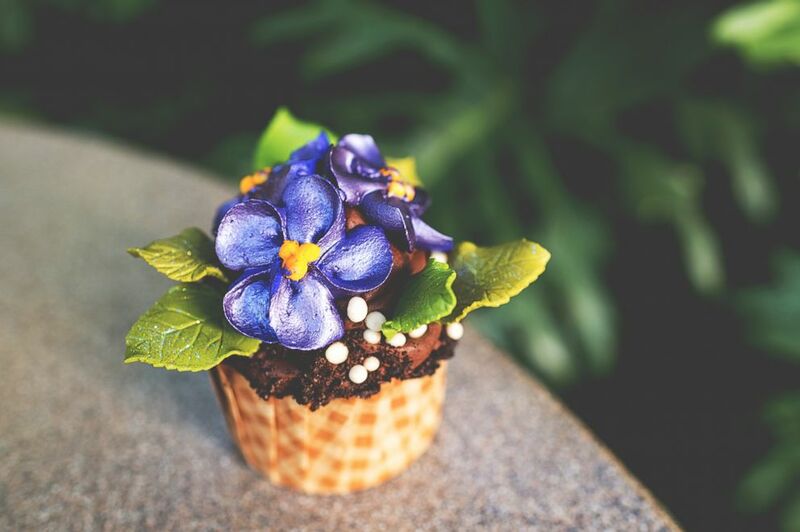 Head to The Mara at Disney’s Animal Kingdom Lodge for this African Violet Cupcake. 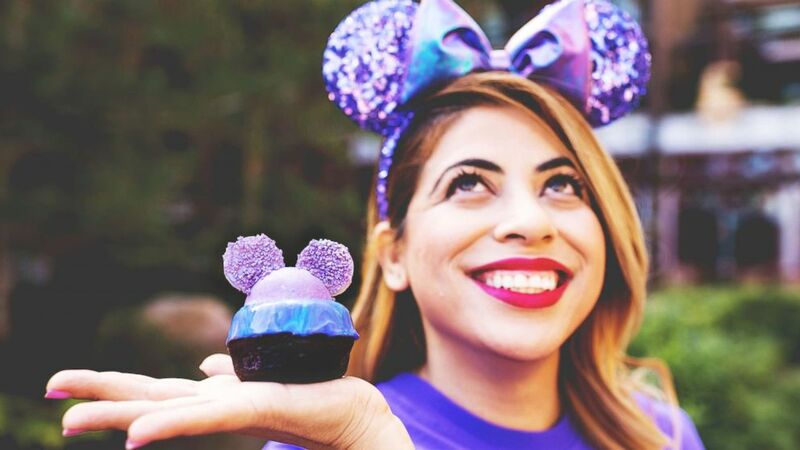 (Disney) The Mara African Violet Cupcake. The Contempo Café at Disney’s Contemporary Resort is home to the Purple Contempo Cupcake. 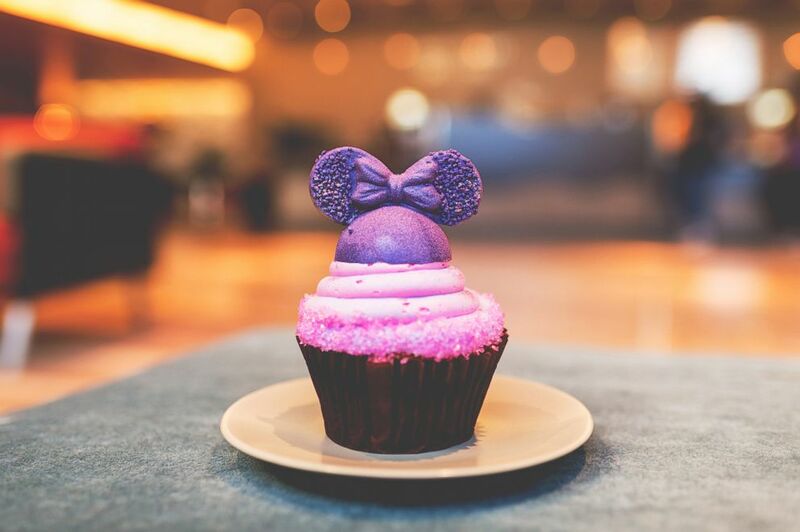 This cute-as-can-be cupcake -- called Purple Minnie Cupcake -- can be found at Capt. Cook’s and Kona Coffee Bar at Disney’s Polynesian Village Resort. (Disney) Polynesian Captain Cook's Purple Minnie Cupcake. 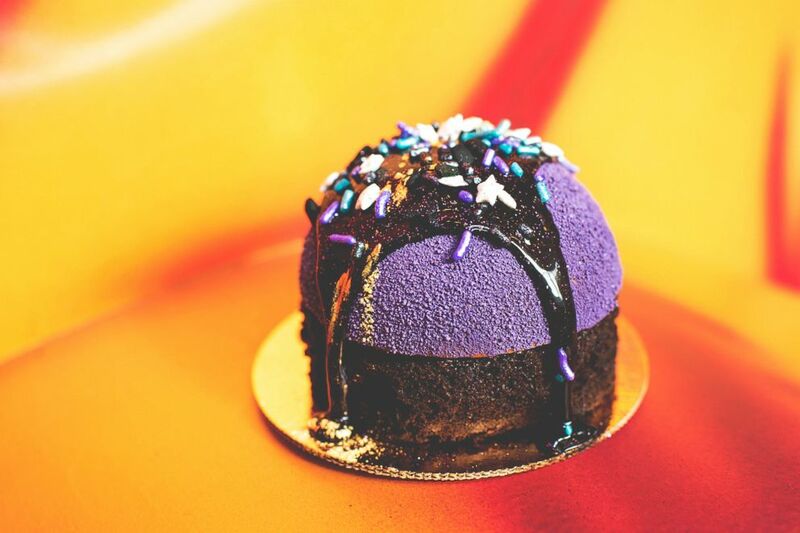 The Purple Starry Sky Cake can be found at Disney’s All-Star Resorts food courts. 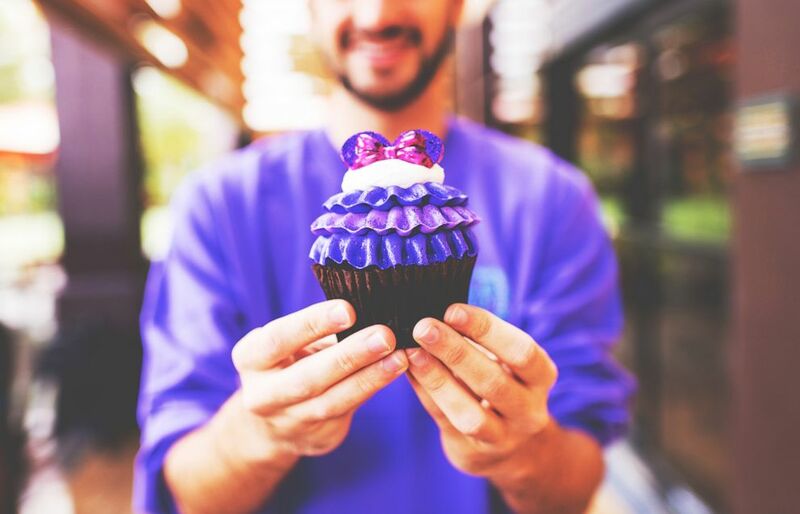 (Disney ) The Purple Swirl Cupcake. Over at Disney’s Wilderness Lodge Resort's Roaring Fork, you can find the Purple Blackberry Mousse Brownie. (Disney ) Purple Wilderness Lodge Roaring Fork Purple Blackberry Mousse Brownie. The Marketplaces at Disney’s Yacht and Beach Club Resorts are home to the Black Raspberry Lemon Tart. (Disney) Yacht and Beach Club Marketplaces Black Raspberry Lemon Tart. Well hello there, Purple Glove Macaron! Give this adorable treat a hand at Disneyland Park at Jolly Holiday Bakery Café and at Disney California Adventure Park at Clarabelle’s Hand Scooped Ice Cream and Fiddler and the Fifer & Practical Café. (Disney ) Purple Disneyland Jolly Holiday Purple Macaron. 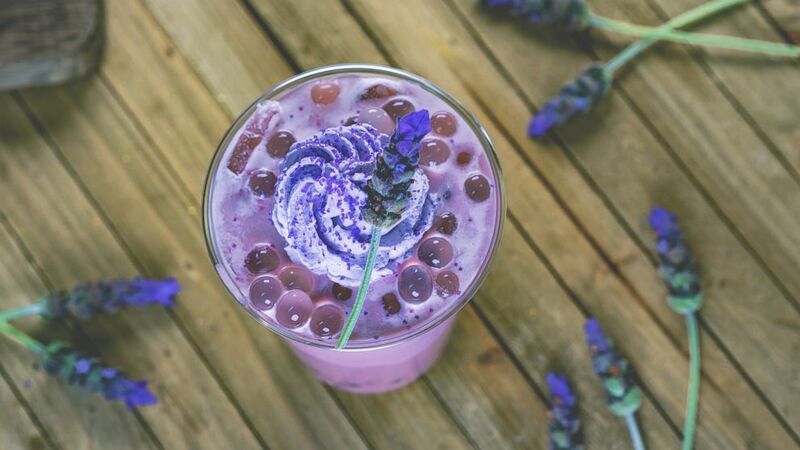 For a refreshing and relaxing sip, head to Red Rose Taverne at Disneyland Park for a Lavender Milk Tea. (Disney) Purple Disneyland Red Rose Taverne Lavender Milk Tea. 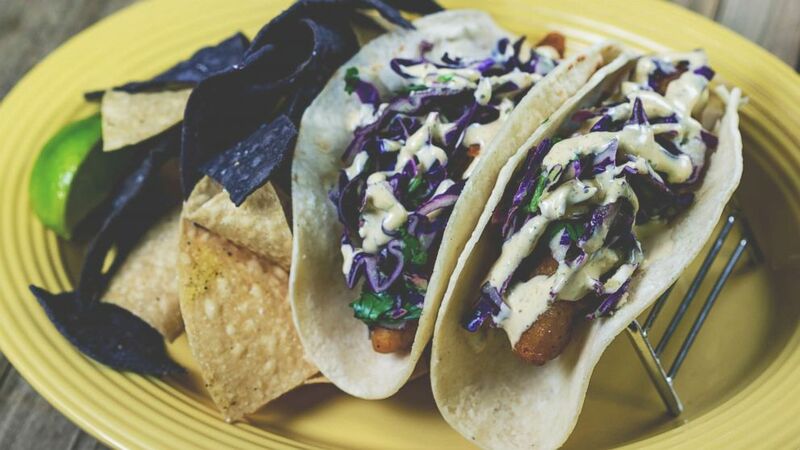 Also in Disneyland Park are the Purple Fish Tacos and Jamaica Freeze, both found at Rancho del Zocalo. (Disney) Purple Disneyland Rancho Del Zocalo Purple Tacos. (Disney) Purple Disneyland Rancho Del Zocalo Jamaica Freeze. Churros! 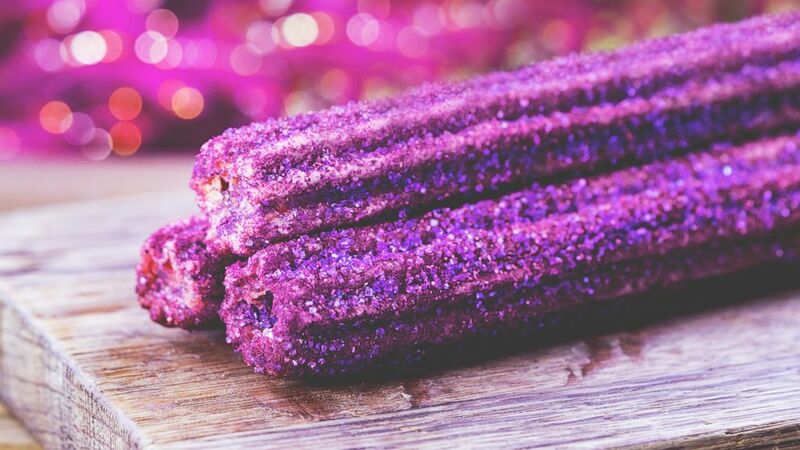 This purple Sugar Plum Churro is located at Critter Country in Disneyland Park. (Disney) Purple Disneyland Critter Country Sugar Plum Churro. Bengal Barbecue is the home of the Jungle Julep. 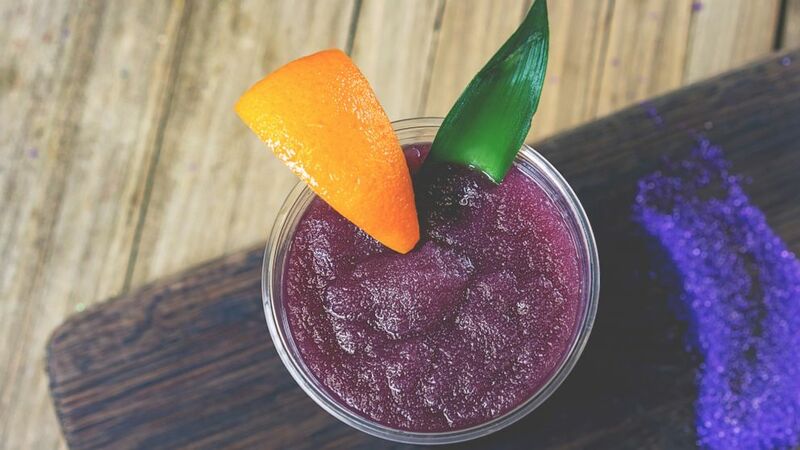 (Disney) Purple Disneyland Bengal Barbecue Jungle Julep. 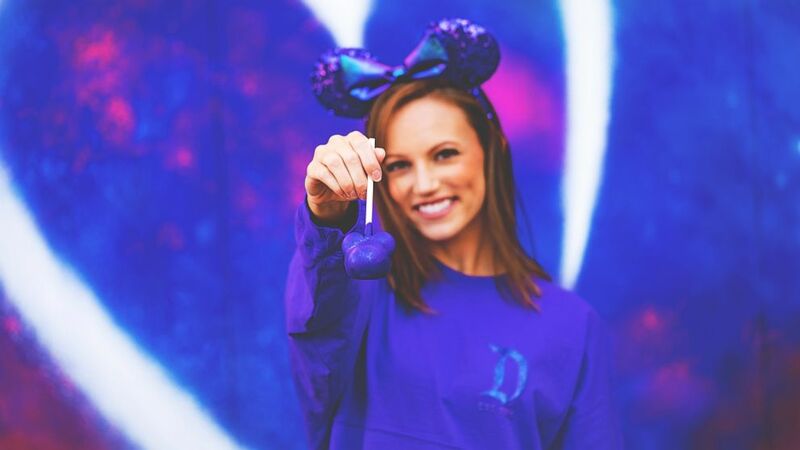 This purple cake pop can be found at Candy Palace, Pooh Corner, Trolley Treats and Marceline’s Confectionery. 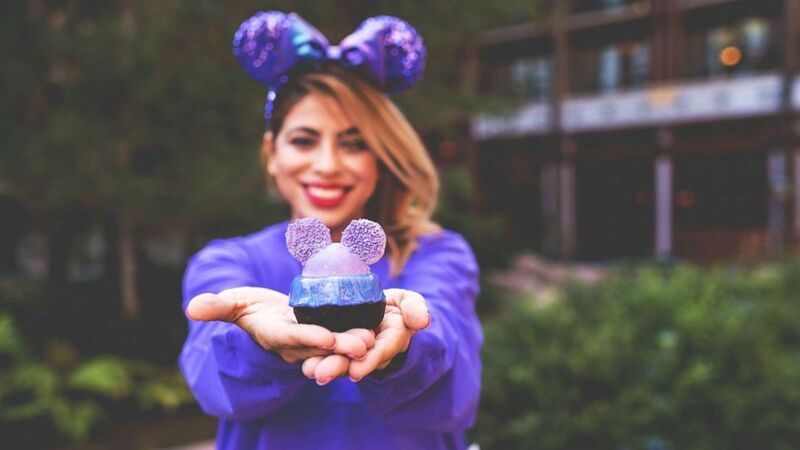 (Disney) Purple Disneyland Candy Shops Cake Pop.